even in how I’ve divided up the conceptual topics. I. Danny Pink’s sacrifice, his promise, and the covenant with our working soldiers. II. How the Master shows us the difference of revolution from mere destruction. III. The weight of Russell T. Davies’ legacy. depiction of the terror of the Cybermen. To begin with Mr Pink, this is probably a bigger tearjerker than anything in the entire Russell T. Davies era. Of all his theatrical tragedies of his companion departures, this is probably the most moving. 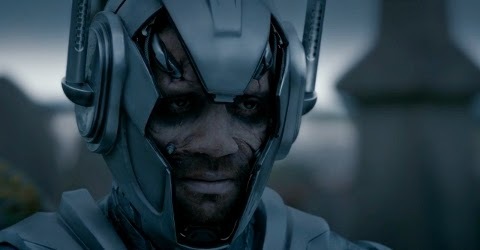 Not only does the storyline itself offer a gut-wrenching moment of personal sacrifice, but the visuals of a mutilated Cybernized Danny combines makeup and performances powerful enough to bring most viewers to tears. I had to watch it alone this time because of my girlfriend’s work schedule, but when I rewatch it with her seeing it for the first time, I expect it to finally make her eyes leak a little. The problematic of whether it is possible to be an ethically good soldier while also being a practically good soldier has been a recurring thematic issue this season. I’m impressed with how Steven Moffat has weaved the concept throughout the season. It’s not literally a plot-related keyword, as Davies did with Bad Wolf and Vote Saxon, but instead simply a theme running under several stories. Not even all the stories, just enough of them to be noticeable. In some cases, the idea was handled a little clumsily, as in Mummy on the Orient Express, when the notion was expressed so simply (the Mummy being a cybernetically modified soldier,* even more perverted from his real-life existence than A Town Called Mercy’s Gunslinger) that it felt emptily repetitive by that point in the season. 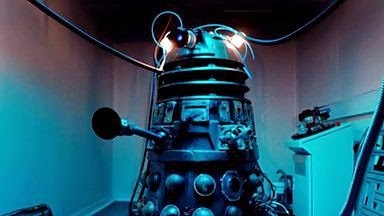 But the theme was appropriate to its appearance in Into the Dalek, a fundamental aspect of the Dalek concept being their nature as the perfect remorseless killing machines. * The body horror of the Mummy was a potentially horrifying point left unexplored in the episode, as the denouement passed too quickly once its true nature was revealed. A creature who had been sentient, but was turned into a killing machine to protect its flag, a symbol of patriotism that mechanistically drove him to kill. Worse than that, it mechanistically drove him as if he was a killing engine. And just enough of its sentience survived its conditioning that it was able to salute and thank the Doctor from releasing it from the burden of its existence. Some reflection reveals the Mummy to operate on the same principle of horror as the Cybermen, but expressing it with more visceral horror than those monsters have ever had, perhaps apart from the Spare Parts audio play, until we got the last moments of Danny Pink. Rusty the Revolutionary Dalek Who Cares. Another key issue from Into the Dalek was its provisional definition of the soldier figure, and I say provisional because Danny overwrote it. Remember Journey Blue? She was the soldier in the anti-Dalek resistance who threatened the Doctor at gunpoint to return her to her ship, even though he was going to do it anyway. She was the one who, when Rusty the Dalek forgot his moment of moral insight, chose to overwrite the Doctor’s more ambitious and hopeful plan to burn that insight into its memory and just blow things up. This, even in the face of how horribly ineffective blowing stuff up would be, and how revolutionary the Doctor’s plan was. Rusty the Dalek is now an agent of revolutionary progress, as I described this September, a new kind of Dalek. Journey Blue is the model of a soldier that, politically speaking, I am deathly afraid of. It is the vision of a person who has become so accustomed to violence that violence is the only solution they can conceive of for any problem. Vaka Rangi just yesterday discussed exactly this destructive conception of what the military is for, the violent games of creatures too immature to understand that there are other ways. These are the traumatized ghost-men of The Hurt Locker. Or worse, they are the career military men who, in many countries around the world, become so frustrated with how inefficient and messy the politics of democracy, social freedom, and freedom of choice in one’s life can be. These are the career soldiers like Augusto Pinochet, Abdel Fattah el-Sisi, Robert Mugabe, and Francisco Franco, who think that the hard tasks of government can’t be entrusted to the people. In his last moments, Danny provided a more noble vision of what a soldier could be. As this post will go up in the hour just before Remembrance Day begins in Canada, it’s rather appropriate that this honourable vision of military life and ethics is how Doctor Who ends its triumphant first season of the Capaldi era. "Am I a good man?" asked the Doctor. Here in the city of Hamilton, it’s an especially poignant Remembrance Day, as it began a few weeks early, after the murder of Nathan Cirillo, an Afghanistan veteran who was shot in the back by a deranged gunman as he stood guard at Parliament Hill’s National War Memorial. 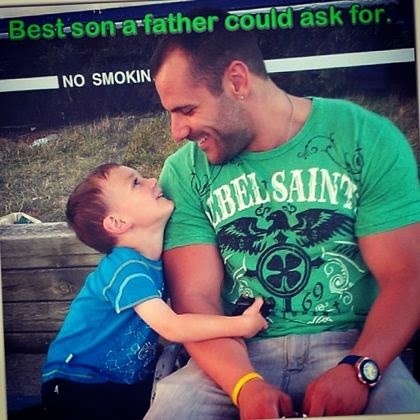 Cirillo grew up in Hamilton, and left behind a five-year-old son. He was based out of the military installation that sits on James Street North, in the middle of the city’s art gallery district, across the street from one of my regular coffee shops. The base saw an enormous memorial shrine of flowers, wreaths, and mementos in Cirillo’s name for two weeks after his killing. This outpouring of grief came while Canada's own government gives its most seriously injured war veterans a runaround as they search for the medical treatment they deserve. In his last act on Earth, Danny holds fast to a promise he made as a soldier, the fidelity to protect the people he loves. In doing so, he leaves a vision of military service and the call to it that does an honour to all the people who served and sacrificed, and all too often have been sacrificed to guard the safety of those in their care. Composing: Writing about my writing process. Research Time: Ideas I have in reaction to my ongoing research and reading. Jamming: Random speculations on a small idea I've come up with, which I have no idea what to do with yet. A History Boy: Posts about past influences, how I became the writer I am today. Dialogues: Conversations and interviews with friends and colleagues. Advocate: Serious social and political calls to action.